My friend Teri was going to have knee replacement surgery. Her mobility, independence, and daily life had deteriorated significantly over the years; that’s what persistent physical pain will do to anyone. This surgery would greatly improve her quality of life and get her back on her feet, literally! Teri went through the pre-operative evaluation and testing to ensure that she was a candidate for knee surgery. They took her medical history, did a physical exam, and performed blood, kidney, liver, and heart tests. She got x-rays and MRIs of her knee. Teri adjusted her medications and stopped certain pain drugs to prepare for the surgery. She would miss work for two to three months, which meant diminished income. There were many other things to consider, including making arrangements for her daily meals post-surgery when she would be home-bound. More importantly, she mentally prepared herself for the long recovery process – pain, discomfort, and the immediate inability to move around. Teri got her ducks in a row and was ready for surgery. Five days before her surgery date, however, everything came to a sudden halt. Teri was told that an EKG performed that day showed severe heart damage with the possibility that she had suffered a heart attack. She was scared, shocked, and confused. She would need to undergo more testing on her heart in the form of a stress test. Since she was not able to do the walking/running for the test, they injected medication into her blood vessels that simulated an increased heart rate during exercise. Her breathing became labored and her chest felt heavy as she lay in the enclosed machine that monitored her heart rhythm. She waited anxiously for the results while wondering whether she would have to pay for this test out of her own pocket as her insurance had not yet approved this expedited procedure. The next day, she received good news. The stress test showed that her heart was healthy and that she could proceed with the surgery. The explanation she was given for contrasting test results was that during the initial EKG test on her heart, the technician had placed the electrodes in a sequence not accurate for her body type. This led to a false positive result. Fortunately in this case, Teri’s surgery went successfully as planned. But Teri’s story brings up questions about the cost and impact of medical tests and their results, both when they are accurate and misleading. Teri’s world was turned upside down when she was told testing showed severe heart damage. This incorrect information sent her on an emotional roller coaster. She had already prepared and invested a lot into this knee surgery. In addition, Teri was put through an unnecessary stress test that ended up costing her insurance company over $4,000. Ironically, a friend who was also having knee surgery the same day who had had no complications in her pre-operative visits suffered a heart attack the morning of her surgery. Healthcare is expensive in more ways than one and isn’t always an exact science. 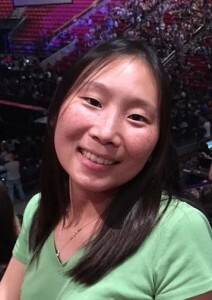 Susan Chang was a contestant in the 2015 Costs of Care Essay Contest.